David Aughtry's practice focuses on civil and criminal tax litigation. He graduated from The Citadel in 1975 with a B.A. in English, from the University of South Carolina in 1978 with a Master's in Accounting and a law degree, and from Emory University in 1982 with a Masters in Taxation (LL.M.). Upon graduation from the University of South Carolina Law School, Mr. Aughtry joined the Internal Revenue Service as a Trial Attorney, Office of the Chief Counsel, where he also served as a Tax Shelter Coordinator. Mr. Aughtry taught Tax Controversy as an Adjunct Professor in the Emory University Masters in Taxation Program from 1987 through 1994 and in the Emory School of Law from 1995 through 1998 and 2003. From 1996 through 2002, he served as an Instructor for the National Institute of Trial Advocates (NITA) in its program on "Litigating before the United States Tax Court" and was recently selected as a fellow of the International Society of Barristers. He is recognized as a national authority in tax litigation in Chambers USA and the US Legal 500 Litigation Guide. Mr. Aughtry has tried (and/or argued on appeal) over 70 cases and successfully argued Hubert v. Commissioner before the Tax Court, the Eleventh Circuit, and the United States Supreme Court. Among the public company matters, David successfully tried Santa Fe Pacific Gold Co. v. Commissioner (termination or breakup fee in hostile takeover held to be deductible, with Indopco distinguished) and Plains Petroleum Co. v. Commissioner (Section 269 tax avoidance held factually inapplicable to acquisition of subsidiary with an $85 mil. NOL) to a final opinion. Within the last several years, David won Topping v. Commissioner, (the first successful case recognizing horses as a deductible business development tool), Vines v. Commissioner ($13 million case in which the Tax Court held the IRS improperly denied the taxpayer 9100 Relief), and Caracci v. Commissioner (another case of first impression in which the Fifth Circuit reversed the Tax Court and rejected the last of $389 million in intermediate sanctions, taxes, and interest). Topping reaches the opposite result as Boddy v. Commissioner (Arabian horse hobby loss) which Mr. Aughtry won when he was trying cases for the government. 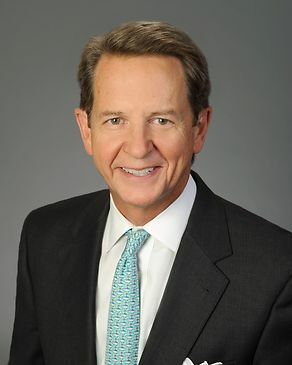 Mr. Aughtry was Chairman of the Budget and Investment Committees of the State Bar of Georgia (1989-1994) He has served as President and Chairman of the Southern Federal Tax Institute and continues to serve on the Board of Trustees. He is a nationally recognized speaker, including presentations for TEI, Mississippi Tax Institute, American Tax Institute ( Ala.), Georgia Tax Conference, Tennessee Tax Institute, Kentucky Tax Institute, AICPA Valuation Conferences, and various other tax programs. Cecil v. Commissioner (tried, opinion pending). Despite previously agreed valuation formulas, the IRS claimed $33 million in gift taxes, and interest by contending that a remarkable company must be disregarded for want of economic substance and that the family undervalued gifts of stock. By trial, the IRS reduced its claim to $3.5 million. The family denies any deficiency, claims a refund of $4 million, and remains optimistic about prevailing on a USPAP 9-3 matter of first impression and reversing prior precedent that failed to recognize S corporation tax affecting. Lender Management, LLC v. Commissioner, T.C. Memo 2017-246 (2017). Also as a matter of first impression, the Tax Court agreed that the “family office” constituted a Section 162 trade-or-business instead of a Section 212 investment activity (subject to AMT limitations). Santa Fe Pacific Gold Co. v. Commissioner, 132 T.C. 12 (2009). In the first termination-fee-capitalization opinion in 15 years, the IRS disallowed a $65 million fee. The trial team, however, successfully persuaded the Tax Court that the break-up fee should be fully deducted by the target in the year paid because the target and white knight included that provision to protect the desired merger against a hostile takeover and the ultimate hostile takeover destroyed – not benefitted – the existence of the target payor. Caracci v. Commissioner, 456 F.3d 444 (5th Cir. 2006). The IRS sought over $250 million in excise taxes referred to as “intermediate sanctions” under I.R.C. § 4958 against three home-health care agencies and their owners in relation to the transfer of assets and liabilities when the agencies converted from tax-exempt to non-exempt status. The Federal Fifth Circuit Court of Appeals found taxpayers not liable for any excise tax liability. Complete taxpayer victory. International Capital Holding Corp. and Subsidiaries v. Commissioner, T.C. Memo 2002-109. IRS challenged the deductibility of compensation paid between related companies under I.R.C. § 162. Court found company not liable for any additional income taxes. Complete taxpayer victory and IRS liable for attorneys’ fees. Trucks, Inc. v. United States, 1:96-CV-800 (No. Dist. Ga. 2002). In a jury trial in the Federal District Court for the Northern District of Georgia ( Atlanta), the IRS attempted to collect millions from a large trucking company based on attack of their per diem plan for reimbursing drivers for over-the-road travel expenses. Court issued directed verdict to trucking company at the conclusion of the trial. IRS liable for attorneys’ fees. Estate of Lassiter v. Commissioner, T.C. Memo 2000-324. The IRS attempted to collect millions from the estate of a prominent landowner in Georgia and New York by challenging a disclaimer executed by the family members involving a pre-1982 will. The Tax Court found the disclaimer to be valid. Complete taxpayer victory. U.S. v. Jillson and Nixon, 99-2 U.S.T.C. ¶ 50,937 (DC-So. Fla. 1999). Rare taxpayer victory in summons enforcement case involving two executives of large installation company. Commissioner v. Estate of Hubert, 520 U.S. 93 (1997) - U.S. Supreme Court held that estate was not required to reduce its marital and charitable deductions by amount of administration expenses paid from income generated by assets allocated to marital and charitable bequests.